Congratulations to Frank Cottrell Boyce for scooping up the Guardian Children's Fiction Prize 2012. 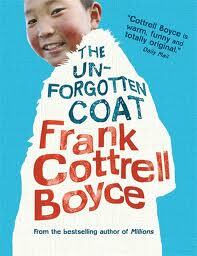 Boyce won the honour, which includes a £1500 award, for his book, The Unforgotten Coat. This book deals with a difficult and moving subject; the forcible deportation of refugees and was dedicated by Boyce to a young Mongolian schoolgirl whose own family, taken in the middle of the night by immigration authorities, inspired the story. Boyce had been commissioned by the Reader's Organisation, a charitable trust based in Liverpool; making The Unforgotten Coat a most unusual choice for the prize. 50,000 copies of the book were given away free this year. 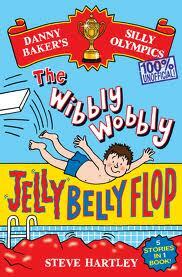 It has beaten out other books by noted authors, Eva Ibbotson, Roddy Doyle and the late Russell Hoban to secure the win. I just want to send a BIG THANK YOU to Sarah Webb, who took time out of her busy, busy schedule to come down to Dubray Books, Galway and talk to two groups of 5th class girls from local schools. Sarah told the all about growing up and her school years, her young dreams of being a ballerina, how she became a writer and the latest Amy Green book, Dancing Daze (as well as all the others.) The girls had some really great questions and comments to share. So much enthusiasm! Sarah, you have many new fans in Galway! Here we are half-way through October... an exciting month for the children of Ireland! First of all, we are at the beginning of the third week of BookFest, with author events taking place in libraries, schools, bookshops and other venues across the country featuring a collection of the most wonderful writers for children you could dream of.... Judi Curtin, Derek Landy, Sarah Webb, Dolores Keaveney, Juliette Saumande....I could go on and on. There are performances of Tic Teac; a bilingual (Irish/English) event that invites young children to assemble a clock mat to mark the passage of time. Children of the Black Shirt (written by Angela Betzien) is offering a Saturday (October 20) Youth Drama Day Package. A genuine 'can't miss' family show.... The Happy Prince on Sunday (21 October) at 5pm. This unique orchestral and story-telling adaptation of a favourite Oscar Wilde childrens' story is performed by the exceptional Donegal Youth Orchestra and sung by Donegal Youth Choir, with the equally exceptional Little John Nee retelling the story. Join author Steve Hartley for Danny Baker Record Breaker the show on Sunday for a very silly, thoroughly giggle-worthy show you won't forget. Look for the wonderful Joyce Dunbar in Charlie Byrnes Bookshop on Saturday... and her equally wonderful daughter, Polly Dunbar at Ard Bia at Nimmos. Great fun for all.... so here's the link to the programme for all the details. Enjoy! It is with great sadness that I pass on the news of the passing of Helen Nicoll, creator of the beloved Meg and Mog series of children's picture books.Along with Jan Pienkowski, working as illustrator, Nicoll created the popular series about a witch and her cat, which have become some of the most popular and outstanding childrens books in the last 35 years. 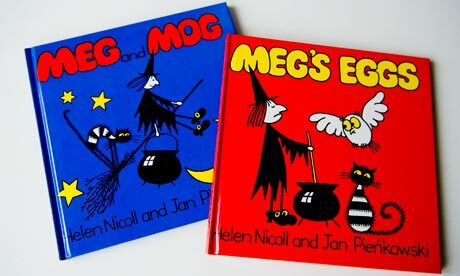 Helen passed away at the age of 74, leaving behind her husband of 42 years, interior designer Robert Kine, two children, Hannah and Tom and the Meg and Mog series, which will entertain and encourage reading and joy in children for generations to come. Helen Nicoll; born 10 October, 1937, died 30 September 2012. 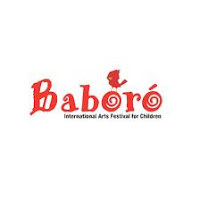 First of all, the twenty-second consecutive CBI Childrens' Book Festival is underway with book and author events happening all over Ireland. 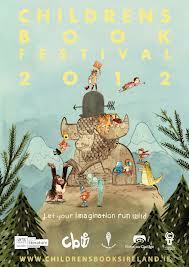 Our current Laureate na n'Og, Niamh Sharkey launched the BookFest on Monday, 1st October. Cressida Cowell, international best-selling author of the How to Train Your Dragon series will be visiting Dublin on the 17th and will be taking fans on the Splash Viking Tour! Eoin Colfer, Derek Landy and Darren Shan will be visiting various locations across the country.... so much going on! And here in Galway, we'll be gearing up for Baboro, running from October 15th through the 22nd. We've got H2O, Potato Needs a Bath, Tic Teac Tic Teac (puppet theatre)... so much more. Can't forget to mention our dear friend Pete Mullineux and, a very special welcome to Joyce Dunbar and Polly Dunbar, and Steve Hartley in a number of wonderful events for young and old! As for me, I'm looking forward to a very special visit from dear friend and wonderful author Sarah Webb. 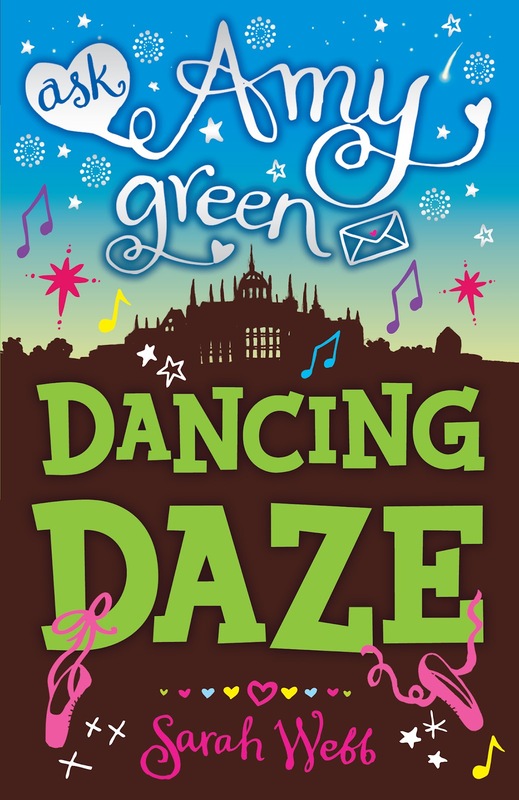 Sarah will be coming to Dubray Books for pre-arranged class visits, telling us all about the latest Amy Green book; Dancing Daze and (hopefully), let us know what's up next for our favourite teen agony aunt.... good times, indeed!